Welcome to Magdalene Spiritual Journeys! Do you want to find out what’s your next step in life? Do you want to stretch your comfort zone, raise your vibration and expand your consciousness? Well maybe you’re in the right place. an immersion experience with exponential spiritual growth? an opportunity to experience living with a tribe to appreciate different cultures? a deeper connection and appreciation of nature? an opportunity to detox and cleanse physically, mentally and emotionally? the ability to love yourself and others unconditionally? the ability to be more compassionate with yourself and all humanity? an increase in the levels of joy that you experience? direct experience of your multi-dimensionality, passing beyond the veil of illusion to gain insights for your growth? a stronger connection to Divine source? Debra invites you to join her on a transformational voyage of personal discovery, as well as a journey deep inside yourself … one which will reconnect you with who you really are… Divine Love. This Ayahuasca retreat is for you if you seriously committed to your spiritual growth and you are brave enough to face your shadow. Working with sacred plant medicines shows you your deeply hidden aspects which when cleared, allow you to experience true liberation and live Heaven on Earth every day. It is not an easy journey but for those willing to trust and surrender to the process … it is worth it! This Ayahuasca retreat is not for you if you are looking for a centre catering for the increasingly popular spiritual tourism trade or if you’re just curious about trying ayahuasca. It is not for you if you are still in victim mindset and are not aware of your spiritual nature. You must be of sound mind and physically fit and due to the nature of this programme, everyone applying for a place will be interviewed to assess their suitability for this life-changing, transformational, once-in-a-lifetime experience. Read more about what others say about Debra at the bottom of this page. Once you’ve received confirmation of your place, you will book your international flight to Lima then take an internal flight to Iquitos, arriving before 5.30 pm the day before we depart into the jungle. Our group will stay in the same hotel and have an orientation briefing before going out for dinner. On the first morning, we take an unforgettable scenic boat journey up the Amazon River. Our destination is deep in the rainforest to a small remote Shipibo village called San Jose Pueblo, located in a pristine area next to the clear waters of a tributary called Manati. We will spend 15 nights at our private centre on the programme outlined below. We leave by boat for the return journey to Iquitos early in the morning on final day, checking into our hotel and having dinner together in the evening. For those who want to visit one of the wonders of the world and experience more of beautiful Peru, there is an optional 6 day trip extension to visit Machu Picchu and the Sacred Valley, where we will work with a different sacred plant medicine. This tour starts 3 days after we leave the jungle to allow time for rest and acclimatisation in the beautiful city of Cusco where there is no shortage of places for you to visit. This tour can also be taken as a stand alone tour with optional 6 day trip extension to Lake Titicaca in Bolivia. NOTE: A lot of photos disappeared after a wordpress upgrade – will be amended when time permits. Travelling by boat on the Amazon River is an experience you will remember forever! Upon arrival at San Jose pueblo, you will receive the warmest welcome you’ve ever experienced as the women and children eagerly await your arrival. This immediately puts your mind at rest and helps to allay any fears that may be lingering in your mind. You walk up the stairs built into the side of the bank and are led along a wooden walkway to the small casitas which will be your home for the next 14 nights. Over the 15 days and 14 nights living with the Shipibo Tribe, you will participate in five sacred ayahuasca ceremonies facilitated by two Shamans and a Plant Master who specialise in purification, protection, medicinal plants and Ayahuasca ceremonies. You will be safely guided into other dimensions where Mother Ayahuasca will give you whatever you need right now for your Highest good. Debra Sofia Magdalene and Cristina Trujillo will assist with holding space and making sure that you are fully supported and safe throughout. Debra and Cristina were both participants on Children of the Sun Foundation’s Avatar Training Expedition in the Amazon in September 2013 and have answered the calling to return, to help others experience exponential spiritual and personal growth. Cristina has over 4 years experience with Ayahuasca ceremonies and other medicinal plants, and she’s co-facilitated other Amazon retreats at San Jose village. As Spanish is her mother tongue, she will act as our translator and liaise with the team in the village to ensure that everything runs smoothly behind the scenes. Debra and Cristina’s biographies are below. You have your own simple room with a bed covered by a mosquito net. There are separate toilet blocks with water butts for washing and flushing. There is no electricity so no overhead cables or internet connection to interfere with your electromagnetic field. Rooms are lit by oil lamps and you can take your candles and torch. What a fantastic opportunity for you to experience what it’s like to live off grid! You have a complete digital detox – free of modern day technology. You bathe and swim each day in the Amazon River, experiencing the purification of the sacred water. It is so much fun to float downstream with friends, and great exercise to swim upstream against the current. Debra decided to cover herself in mud from the river bank and her skin felt amazing after absorbing the minerals. If you’re lucky, brightly coloured butterflies come and interact with you … such a magical experience! You will experience guided jungle treks to collect the vines and leaves, seeing plant medicines in their natural environment. These teacher-healer plants enable you to experience physical and emotional healing, assisting in your purification and enabling you to raise your vibration and hold more light in your body. You will experience a sacred ceremony by Dr Shingo, a huge tree which is guardian of the region, being blessed and purified in a ritual to request permission to collect sacred plant medicines from the area. During one of her ayahuasca ceremonies, Debra merged her consciousness with this tree and had direct experience of what it felt like to be the guardian of this region of the Amazon. Saracura means ‘Sarah heals’ and Juni was shown in a dream the precise location of this medicine, how to prepare and use it. The actual medicine of this plant is a thin layer of pink skin located between the outer and inner layers of bark. Saracura acts to calm and recalibrate the nervous system and repair damaged synapses in the brain. It helps to balance emotions, heal pain and bring about a sense of calm and well-being, allowing you to drop deeper as you let go of any stresses. This is the only place in the world where you can drink the medicine from this incredible plant and you will drink it as a tea each day. You drink an infusion made from renequilla every day to assist in the cleansing of your organs and purification of your circulatory systems. This plant medicine connects you with your life force energy and it is said that Renequilla is also beneficial for the reproductive systems. Renequilla is traditionally considered by Amazonian healers to help the muscular system as it works to relax, repair and rejuvenate depleted muscles. You drink Una de Gato every day as a tea. Also known as ‘Cat’s Claw’, this vine is known as a ‘miracle herb of the rainforest’ and has gained in popularity worldwide as a natural remedy to treat colds, viral infections, skin disorders, tumours, digestive problems and for healing arthritis, rheumatism and strengthening bone marrow. It is considered by many to help to return the body to a healthy balance. Una de Gato is an anti-oxidant with anti-inflammatory and blood cleansing properties and when cut, produces a substance resembling blood which congeals and heals if the cut piece is put back in position on the plant. From a plant spirit/shamanic perspective, it can restore this inner sacred union of spirit and physical body. The Ayahuasca vine resembles DNA as it grows. Many people regard Ayahuasca as a hallucinogen but it’s actually an entheogen, providing enhanced clarity rather than distorted illusions. An hallucination is an unconscious experience (like a dream) whilst an entheogen brings about the potential of a super-conscious experience, enabling you to access profound understandings and perceptions which you don’t experience in daily life. The great Ayahuasca medicine of the Peruvian Amazon is traditionally made by combining the ayahuasca vine and the leaves of the chacruna plant. Chacruna contains DMT which is a natural substance produced by your body at the moment of your birth and when you die. The mix of these two plants allows your consciousness to travel beyond the veil and experience other realms. Each shaman has their own recipe and needs the correct doses of each to have the most synergistic effect to propel your transformation. There are five kinds of ayahuasca, each resulting in different outcomes. The brew you drink at each of our five ceremonies is very concentrated and powerful. Ayahuasca is a supreme plant intelligence which offers profound insights. Ayahuasca has its own unique cosmology, its own language and its own way of healing and transforming that is beyond this world … and definitely beyond the mind. This master teacher plant is a gift from the earth to transform human consciousness and guide you into your greater self. A mother vine and supreme cosmic teacher plant, Ayahuasca continues to assist countless people to heal traumas, health conditions, mental and emotional instabilities, clear genetic lineages, solve perplexing situations, download cutting edge information and creativity, activate DNA and so much more. Ayahuasca assists you in learning how to work with other types of energies that are not easily accessed with everyday consciousness. From this expanded space, she teaches you to tune in to multi-dimensional states of perception through intention alone. She guide you into experiences of the heart, to reveal your deepest pain and your greatest healing in order to liberate the powerful soul within. As a group, we help to collect and prepare the plant medicines under the guidance of Juni, the Plant Master, who demonstrates what to do. We infuse our love and blessings into every process along the way. The plant medicines are made according to ancient traditions, handed down through the generations. During our retreat, you have the opportunity to share your experiences and insights with the group so that we can all learn and deepen our connection with each other. We form strong bonds as we undergo profound transformation and lifelong friendships are formed with your soul family. During the ceremonies, you experience the interconnectedness of everything that exists. We are all connected. We are ONE. We are LOVE. To allow us to be in flow, we reserve the right to change the programme if necessary. In 2013 whilst participating in her own ayahuasca ceremonies, Debra experienced what it was like to die and have a life review. She was shown that in this lifetime, she’s here on a path of mastery in all areas of her life and that she should teach these to others. Debra had gone to Peru on a one-way ticket so that she could spend time following her heart. This led her to spending 11 months in South America where she spent time in Peru, Bolivia and Brazil. Debra encourages you to take time for yourself after this retreat for reflection and to make space for the integration which will continue for many months after you leave the jungle. STEP INTO YOUR PATH TO MASTERY! Look after the temple in which your spirit resides; detox; cleanse; nourish your body; exercise; love your body; prepare your body to increase its light quotient. Free yourself; master your thoughts; become aware of sub-conscious programming; make peace with yourself; know that you are a limitless creator of your own reality. Transmute lower vibrations; find your triggers; work with your ego; clear, clean and heal your wounds through forgiveness; practice non-attachment; detach from the 3D delusional matrix drama; love yourself and others unconditionally; surrender to love. Clear and balance your energy field, know your truth; balance the masculine/feminine energies within you; the power of breath, grounding. Know yourself as a multi-dimensional creator; embody your higher self; surrender to Divine will; live Heaven on Earth every day; have faith and trust; develop your psychic abilities; sacred sexuality. WILL YOU STEP INTO YOUR OWN PATH TO MASTERY? Every person has a different experience with Ayahuasca and no two ceremonies are the same. One thing’s for sure though … life will never be the same again. Here are some of the things that others have experienced … trust that you will receive whatever is right for you. We eat our meals together. Our food is lovingly prepared each day and is plentiful… you won’t go hungry! You will follow a strict Shaman’s Dieta to prepare your body for working with the plant medicines. You will eat a simple diet of fresh fish, organic eggs, rice, plantain, yucca, bananas, honey, some fruit, tomato and cucumber. This diet is the traditional way of preparing your body for purifying and entering expanded states of consciousness. It works synchronistically with the plant medicines and you are asked to relax any other dietary requirements that you may follow whilst on this retreat. Upon acceptance to this retreat, you will receive a bonus free membership to Detox With Debra Group Coaching Programme so that you can start to cleanse and prepare your body in advance. You will eliminate all meat, processed foods, salt, sugar, alcohol, smoking, and drugs. You have lifetime access to the secret Facebook Group with resources to help keep you on track when you return home. You will drink bottled water and herbal teas in addition to the plant medicines. Your laundry is done every day and dried in the sun. We wear white clothes for ceremonies and casual clothes the rest of the time. You will be sent a list of things to pack upon acceptance. We are hosted and taken care of by a beautiful family and their supporting village called ‘Casa Shipiba’. You will notice how happy everyone is as you live their lifestyle, totally in harmony with the natural world and with a deep respect for everything. The Shipibo are an indigenous people living along the banks and tributaries of the Amazon River. The name refers to their spoken language which dates back to the Inca Empire. The spoken language with us is in Spanish and Cristina, whose mother tongue is Spanish, acts as our official translator. Why not take the opportunity to learn a few words of Spanish whilst you’re there so that you can communicate directly? It’s always easier to learn a language when living in the country. A highlight of your visit is when all the gifts we’ve taken with us are shared out amongst the men, women and children living in the village. They are grateful for school supplies, art supplies, clothing etc. You can ask your family and friends for donations of pre-loved items before you travel. Instead of packing all your clothes before leaving, you could consider donating them which will leave room in your bag to take home special items from the village and Iquitos when we return there. Once you arrive at the retreat centre, everything is included: accommodation, food, laundry, ceremonies … you may want to bring extra money with you to support the local economy. The Shipibo women make beautiful intricate hand embroidered textiles, clothing and jewellery, and you can also buy instruments and crafts as special mementos for yourself, as gifts, and/or to sell once you’re home. You can also take your own clothes and arrange for designs to be embroidered onto them. Inside the temple, the wall hangings are embroidered with icaros for protection and it’s wonderful to take one or two home with you as they are imbued with energy from our ceremonies. with Children of the Sun Foundation facilitated by Tiara Kumara and Christof (formerly Steve Jack). Debra Sofia Magdalene’s purpose is to help to raise consciousness on the planet. She does this through constantly working on herself and openly sharing her insights, learnings and personal journey with others. Debra left a successful and varied career in business to set up her coaching and training business Global Hugs Ltd, with a mission to share unconditional love. 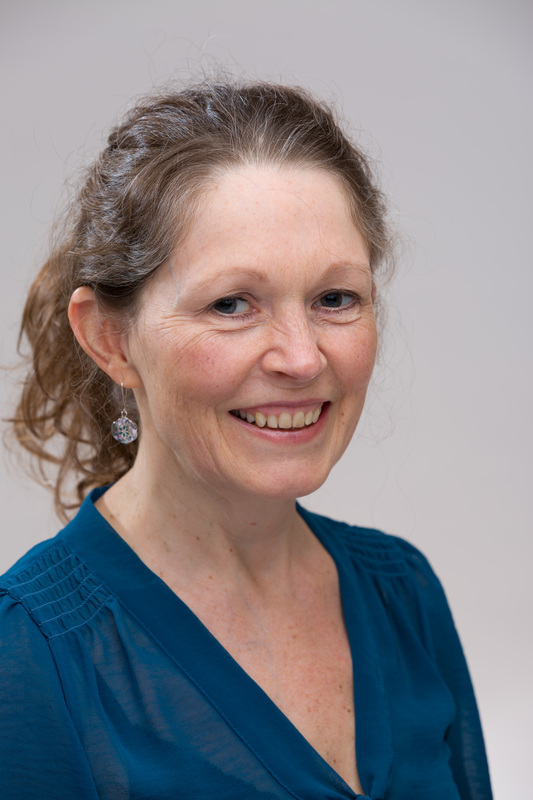 She’s the founder of Mastery Path Events and creator of Detox with Debra group coaching programme. Working with sacred plant medicines in the Amazon has led Debra to now working with doTerra’s certified pure therapeutic grade essential oils. These powerful plant medicines work on physical, emotional and spiritual levels and many spiritual teachers are being called to use them in their work. After experiencing her own miracles with the essential oils, Debra now runs classes educating people on how to use them in different ways and is looking for like-minded souls to assist in bringing ancient wisdom back to the masses and raising consciousness. Debra is a certified Coach, NLP and Timeline Therapy™ Practitioner, has studied various energy healing modalities, and has traveled the world training with world leaders in personal and spiritual development. She uses herself to test out what works then shares her learnings with others to help them fast-track their own growth. In 2011, Debra sold her house and gave away most of her possessions to follow her soul’s guidance of travelling to places that had been calling her for so long … the temples, pyramids and sacred sites in Egypt; the Mary Magdalene and Cathar sites in France; spending time at Damanhur spiritual community in the Italian mountains; visiting Mayan sites whilst touring through Mexico; going on a pilgrimage to Guatemala and Honduras where she participated in many ceremonies to prepare for 12:12:12 and 21:12:12. In 2013 whilst on a detox retreat in Spain, she heard about sacred plant medicines and upon her return she received an email from Children of the Sun Foundation inviting her to apply for Avatar Training in the Peruvian Amazon. She immediately knew that she was being called and only a few months later, found herself experiencing more spiritual growth than she ever dreamed possible. Debra had booked a one-way ticket to Peru and spent 11 months travelling to different parts of Peru and Bolivia, finishing her journey in August 2014 at John of God’s Healing Centre in Brazil. Debra is loving, compassionate, very grounded and speaks from the heart, allowing herself to be vulnerable by sharing her personal experiences to help others. Check out some of her Mastery Path Connections interviews about sacred plant medicines on Mastery Path’s youtube channel. Cristina Trujillo is here to efficiently and impeccably translate the language of higher consciousness, consistently searching and defining her inner wisdom. Her journey was ignited after a series of spiritual awakenings beginning in 2004 while working regularly with the profound energy healer — Jolanda Ruggeri. During the intense period of her awakenings, she started to educate herself in the fascinating world of Energy Alchemy as she began to study modalities such as, Breema, Metatron Transmission, Reiki, Darshan, Theta Healing, health restorative, life-rejuvenating nutrition, Holotropic Breathwork, Egyptian Alchemy and the work of Jiva and Juliette Carter’s, The Template. In 2010 Cristina was introduced to the plant medicine Mother Ayahuasca which initiated a 180 degree turn-around. It then became known to her that this was to be the next expansion into her path as she was guided to work more deeply with the Mother. She has had the honor to work with four different shamans, participating regularly in transformative retreats, as well as extended periods in many sacred sites around the world such as, Mount Shasta, Hawaii, Machu Picchu and the Peruvian Jungle. In 2013/14 Cristina participated in two Peruvian jungle expeditions. She began with a fifteen day Avatar Training program with the Children of the Sun Foundation as a prototype for a specific combination of medicinal plants. It was during this program that she was once again guided to deepen her work with Mother Ayahuasca. Her second retreat into the jungle was as a translator, coordinator, and assistant to Steve Jack. Through these profound experiences, it became clear to Cristina that her offering to the human family is to share and support a deeper understanding of consciousness and evolution. Cristina has over 41/2 years experience of working with Ayahuasca and other medicinal plants including San Pedro and Peyote. As a native Spanish speaker, she will be our translator on this retreat. Full pricing will be provided at the time of you requesting an application form. Pricing is not provided here on purpose … we don’t want you to make a decision based on finances. You are either called to this journey or not. When you sign up for a trip of this nature, the ego can start to play up and send you into fear. It’s all part of the process. Once you commit to this journey, the process has already started. Please note that there will be no refunds or discounts in the event of you cancelling your place, arriving late, flight cancellations, travel delays, illness etc. Due to the nature of this retreat, your place is not transferrable to another programme or person. We wish we could provide refunds for unforeseen circumstances (e.g. family emergencies) but we have expenses that we need to pay upfront and your deposit is used for this purpose. If it is necessary for you to cancel due to unforeseen circumstances it is essential that you notify Debra in writing by email immediately to debramagdalene@gmail.com. If you have paid the full cost of the retreat and the retreat is fully booked, we may be able to refund 50% of the total retreat price if we fill your place. A large proportion of your payment goes to support the workers and village. We recommend that you take out a trip cancellation policy to cover you in the event of any unforeseen circumstances. Option 1: Payment in full due when your place has been confirmed. Option 2: Minimum deposit of 50% upon acceptance to secure your place. Balance due before 17 April 2015. If you join after 17 April payment in full is due upon confirmation of your place. Deposit to be paid by Paypal. Balance to be paid by bank transfer. This is an intense shamanic initiation. You must be in good health mentally and physically to apply. The sacred brew of the Amazonian shamans is not suitable for everyone and all participants will be required to complete a health questionnaire disclosing all medical conditions and medications. You are accepted based upon your affirmation of excellent health and it is your own responsibility to take health precautions, medical advice and vaccinations. You will be required to sign a disclaimer and liability release form as the exclusive agent responsible for following precautions and you accept liability for any adverse effect that may result during taking Ayahuasca medicine during this programme. A full list of contraindications will be sent to you upon application. Please do not apply if you have any heart conditions, any mental disorders including depression, if you are pregnant, if you are addicted to nicotine or any other drug … no smoking of cigarettes or any other substance will not be allowed (including e-cigarettes). Many prescription drugs, recreational drugs and even some herbal formulas are not safe to take with Ayahuasca so be sure to check the list carefully. You must take personal responsibility. STEP 3: We’ll set up a time for a Skype call and get to know each other. If we resonate with each other and agree that this retreat is a good fit, you will be sent a payment link. If this magical experience of a lifetime resonates with you, contact Debra Sofia Magdalene right away for an application form and pricing details. Mother Ayahuasca either calls you or not … this journey isn’t for everyone. If you feel the call, take action right away.